The best Facebook apps which are very interesting and popular apps. These make us to stick to this apps. School of Wizardry is a text-based role-playing game just like Mafia Wars in many aspects. This game is quite curious, imaginative and quirky. 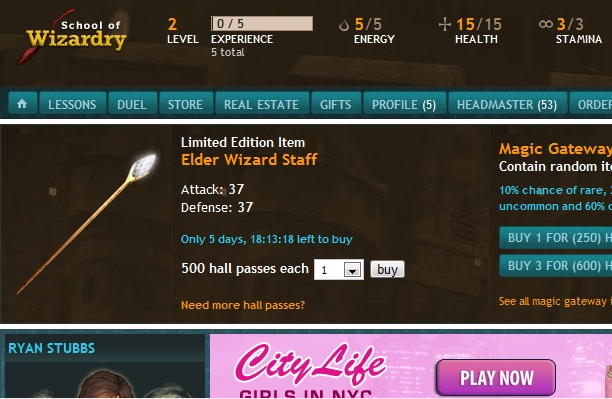 The objective of this game is “to level up and to earn as much as gold as possible in order to purchase in game items” as those are beneficial to the players as the game progresses. This game is well designed and interesting too. As it may be difficult and confused at the first glance because as you may never played this game. When you try for first time automatically you will get addicted towards a real fantasy-style of games. Spotify is one of the best Top 9 best Facebook apps that is well used by many users as I have come across so far. Spotify is a desktop application which allows you to listen songs at a high quality with near instant of playing. With one of the most releases there is a software which is related so Spotify known as Spotify social. This software is used to integrate their spotify accounts to the Facebook and can share their favourite tunes by allowing the app. 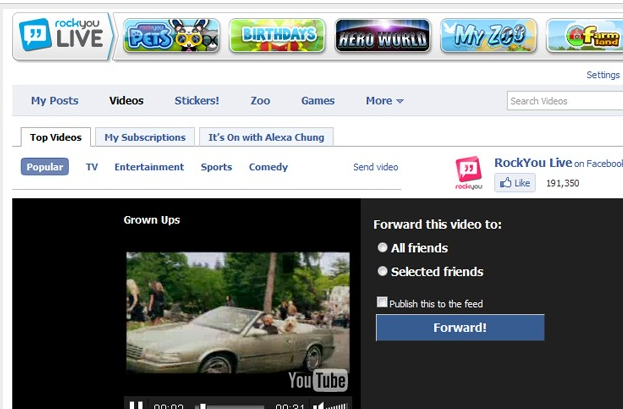 It helps in sharing of content and music albums with friends and uses to play the music lists of friends. It acts like a Social music Plugin. Most ways Facebook is used to share a content. Content includes images,text,graffiti,videos,etc. Rock You Live is a new way to find the content and share it on Facebook. Most probably it takes the major elements of what people are loving to browse online and brings them together where sharing is better than any other. This is the Top 7th best Facebook apps. 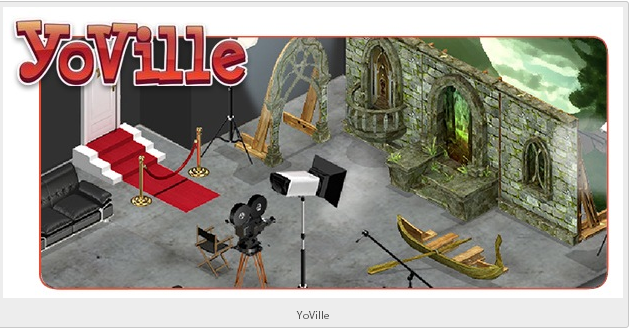 Yo Ville is game app which is used to create a virtual version yourself. You can do jobs and earn more money so that it is used to buy virtual goods for your game process. The main things is it doesn’t employ with a same theme. You can do it yourself as in your way. So, everyone will enjoy this app. Causes is a best app ever. It is a good worth that people are doing some good with this app. 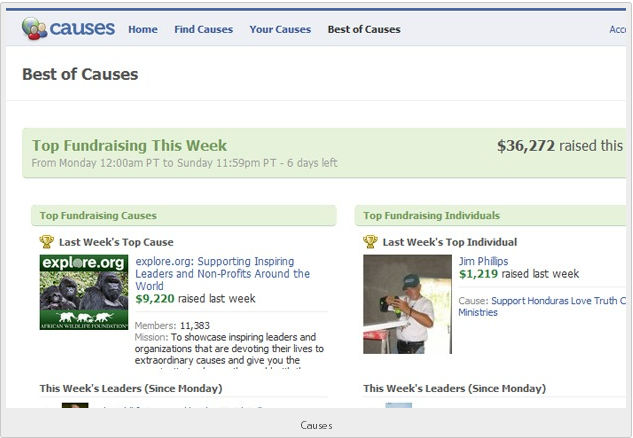 This app is a great way to unite with your Facebook friends to share your honorable support towards a worthy Causes. This is a small platform that people can do a good help to others in completing jobs and earning money to charitable trust. I hope who ever not started yet will start now. I would like to thank Facebook for such a worthy app like Causes. Cafe World is a well-developed app which is very easy to use. 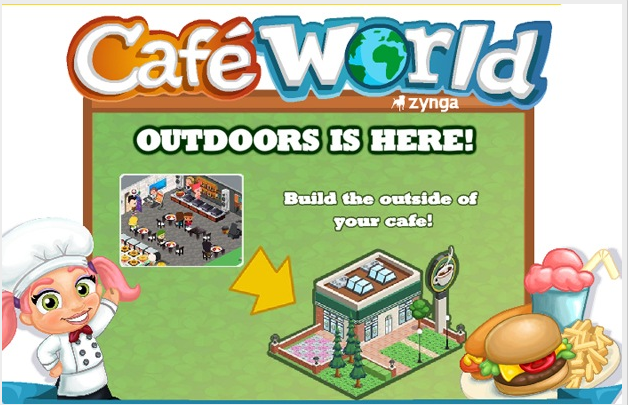 Cafe World is a game which works with main theme like restaurant owner and workers. It works on the principle like the Cafe which we can see in our daily life. Personally, it is a good one which passes the time easily with a funny characters. 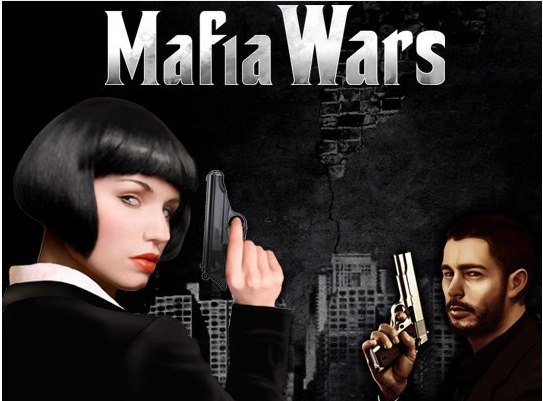 Mafia Wars, the name says pretty something that is related to mafia. This story line is based on the mafias consisting around you and your friends. So, clearing the path and earning money to get top is more important. This is Top 3rd best Facebook app among all other apps. Coming to Mind Jolt it is taken as Top 2nd best Facebook app. 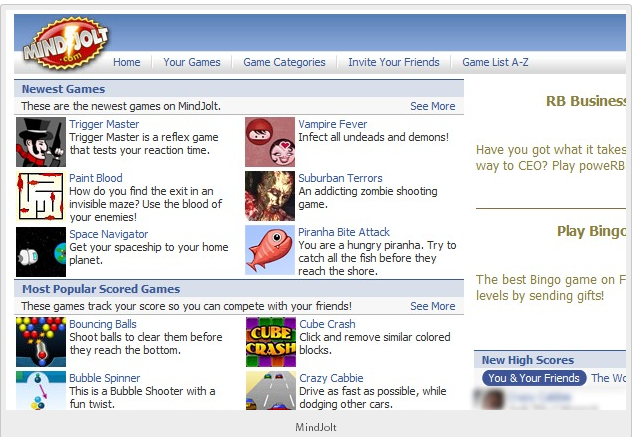 Just because Mind Jolt is used to access number of games from your Facebook homepage. The main point of this app is the sheer number and variety of games available present. It is used to compare with your friends scores and makes you to improve and keeps you to drive top. 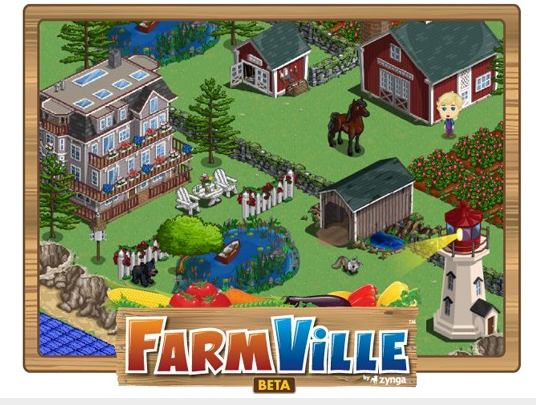 Farm Ville, I think it is well known to every one. Most of the Facebook users are using this app as it has more positive qualities than others. For its positive sense it stood Top 1st best Facebook app. In an average rate it has over 16 million users daily. It is based on making of farm with your thought and making it bigger. In progress of game you can earn lots of points in order to make your farm bigger and helps you to be on top compared to your friends. These are the Top 9 best Facebook apps mentioned in reference of Google search and personal experiences. Who ever not experienced these apps till now, hope you will have a look. Let me know in comments, if any other app that is best to your use.